Though relatively unknown even to this day, there was a prototype for a model that actually preceded the "Scorpion", with testing having begun as early as 1961 using a 40 horsepower motorcycle engine for power. Named the "Javelin" (in several different forms), this first attempt by RotorWay Aircraft founder, designer and builder, B.J. Schramm, turned into a learning process that led to the eventual success of the "Scorpion", the company's first production helicopter, offered in 1967. 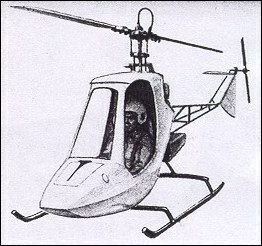 The "Scorpion" was the first real kit helicopter on the market that actually flew. It generated a tremendous amount of excitement in the aviation world. This was an experimental aircraft in the truest sense of the word, the company pioneering a concept of individual helicopter ownership and flight and making it a reality. It was not meant for the commercial market, but rather for the sport-flying public. While priced at $6,000, far more than the average car at the time, it still opened the possibility of individual helicopter ownership to a whole new audience. The greatest challenge was to design a helicopter that the average customer could actually build while providing the essential elements required for helicopter flight. Of all the systems available for propulsion, RotorWay chose what had proven to be one of the most efficient systems and paralleled the design also used on most light commercial helicopters at the time. A standard main rotor with a tail rotor to counteract the torque. Analyzing the pros and cons of three classical types of rotor hub systems (semi-rigid, rigid and fully articulated), RotorWay opted for the semi-rigid system for the "Scorpion". In this system, the collective and cyclic controls were kept completely distinct by a patented system which used a flexible push-pull cable for control separation. All controls functioned with precision bearings and quality dampening devices. This breakthrough in design, along with an extremely simplified rotor blade and off the shelf drive train components all served to make the RotorWay extremely simple in design, never sacrificing structural strength. This was RotorWay's constant objective.The original design, whose prototype was first flown in 1966, had very low life limits on major components. This was the main weakness that needed to be addressed with further research and development. With the help of consulting engineers, along with creative input and ideas from innovative customers, an improved version of the "Scorpion" was introduced in 1971. Among the improvements made were all-aluminum rotor blades, a 115 horsepower OMC 2-cycle engine (Evinrude Vulcan V-4 outboard motor) and a heavier drive system (shafts and bearings). The "Scorpion" also utilized a system of v-belts to drive the tail rotor. This had a number of inherent safety features. First of all, the belts were not subject to torsional fatigue as in a long shaft. Secondly, the tail rotor drive gearbox overheating was eliminated. The result was that maintenance was both simplified and reduced. Build time was approximately 600 hours with far more of the fabrication done by the builder than in the current model. It proved to be an extremely popular product and set the stage for even better things ahead. 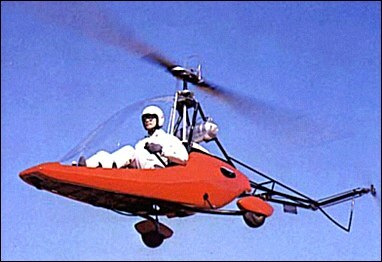 In 1958, B.J.Schramm set up a company to market a single-seat amateur-built helicopter known as the Schramm "Javelin". This machine had a tubular steel structure with a formed aluminium body shell and was powered by a 75kW Mercury powerboat engine. It first flew in August 1965. Schramm subsequently redesigned the "Javelin" as the "Scorpion", and he formed Rotorway Aircraft Inc. to market kits for this revised version, and claimed that 250 were flying by 1970. The "Scorpion Too" followed, and this had an expanded fuselage structure with a two-seat fibreglass cabin enclosure and a 105kW Evinrude marine engine. For All hacking problems, we are expert in spying and breaking all firewall and getting into any database to extract any information. Getting unrestricted and unnoticeable access to your spouse / partner account , especially if your husband / wife is cheating on you and you want us to help you get clear proof, we have help a lot of people on that, and they have been giving testimony on many site. Stuur Details om barclayfinanceplc@gmail.com naar lening aanvraag te beginnen. Are they marked with a serial number and where is it located? how much do they go for these days id like one for 6000.00 at lest. there is a completed scorpion in sri lanka. i saw it in 1978 whilost i was working for the then air ceylon. it was in the military hangar. i want one. where can i test fly one???? I want to buy this how much and why?